In the third episode of Series 15, the Dragons were primed to do business (or battle) as usual with probing questions and unforgiving appraisals. Newcomers Tej Lalvani and Jenny Campbell continued to settle in with Lalvani sealing his third joint deal of the series, and Campbell making, then subsequently withdrawing, a large offer during a tension-filled pitch. This week two entrepreneurs – both online retail offerings – coaxed the Dragons to invest with savvy negotiating and ambitious plans. Investment received: Following offers from Peter Jones and Jenny Campbell, the latter withdrew and Buzaianu accepted Jones’ offer of £90,000 for 35%, dropping to 25% once targets have been hit. In a nail-biting opener to the episode, Bucharest-born Buzaianu pitched his brand of luxury leather convertible rucksacks and briefcases and his long-term goal of making them available across Europe, the US and Asia. Retailing the bags at £245 each (a price which Touker Suleyman condemned as too expensive but Lalvani thought reasonable), Buzaianu revealed that he had already sold £140,000 worth of products in the past year through a Kickstarter crowdfunding campaign. This was in addition to approximately £25,000 in online sales. While the Dragons unanimously felt that Buzaianu’s £1.3m company valuiaiton was hugely unrealistic, Jones and Campbell were won over by the entrepreneur – whose stylish bags offered functionalities not usually found in similar leather products. The two offers on the table weren’t to last long though as Campbell withdrew her offer after Buzaianu committed a Den faux pas by focusing solely on negotiating with Jones; whom it was clear was his preferred investor. Culminating in a tense negotiation, Buzaianu headed home with investment in the bag for Temporary Forevers. The company launched its products in December 2015 after a Kickstarter campaign which raised £136,000. A second Kickstarter campaign had brought in total revenues of £330,000 over the 15 months prior to the pitch. Buzaianu said his business had made approximately £65,000 profit so far. Peter Jones: “You’re a very investable individual. Capitalising on a resurgence of knitting and crocheting, The Wool Couture Company retails large yarn, DIY instruction kits and readymade woollen products online. Having suffered with depression since the age of 18, Yorkshire-based Gelder spoke highly of the ability of handicrafts to reduce stress and relieve feelings of depression. Prior to the pitch, Gelder’s business had been trading for 18 months through Etsy, Notonthehighstreet.com and its own website, selling more than 13,000 units and making a total turnover of over £500,000. According to Gelder, high-profile publications such as Vogue and The New York Times have asked to review her handmade products. Gelder showed a competitive streak by decrying her main competitor’s largest yarn size as her business’ smallest, and stating that her start-up differentiates itself by offering DIY projects that can be completed in a matter of hours. With a solid expansion plan in place, Gelder sought investment that would help drive brand awareness, grow her business in the US and expand into China. Peter Jones: “I admire what you’ve done; your story’s lovely. The big concern I have is really the actual size of the market. 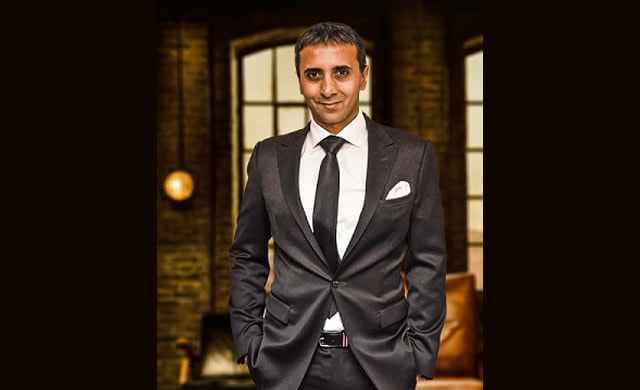 For more Dragons’ Den success stories, as well as stories on what happened to businesses who failed to win over the Dragons, click here. Dragons’ Den star Touker Suleyman will be judging the Startups Awards 2017! Get your business in front of him by submitting your Startups Awards entry here.